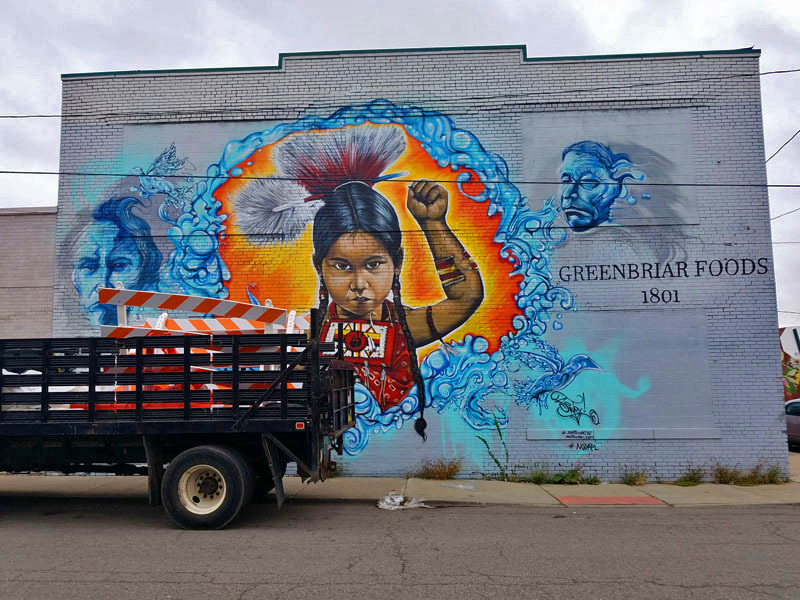 Some of the best experiences I’ve had in Detroit up until now have involved murals. 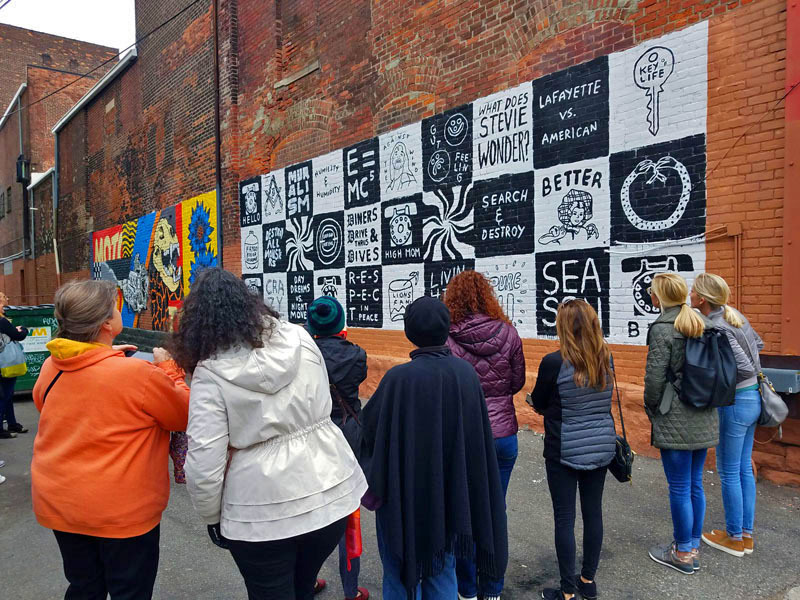 The stories they tell, the design and creativity of, and the simple fact that you can touch and interact with them has made for eye-opening experiences when in the city. 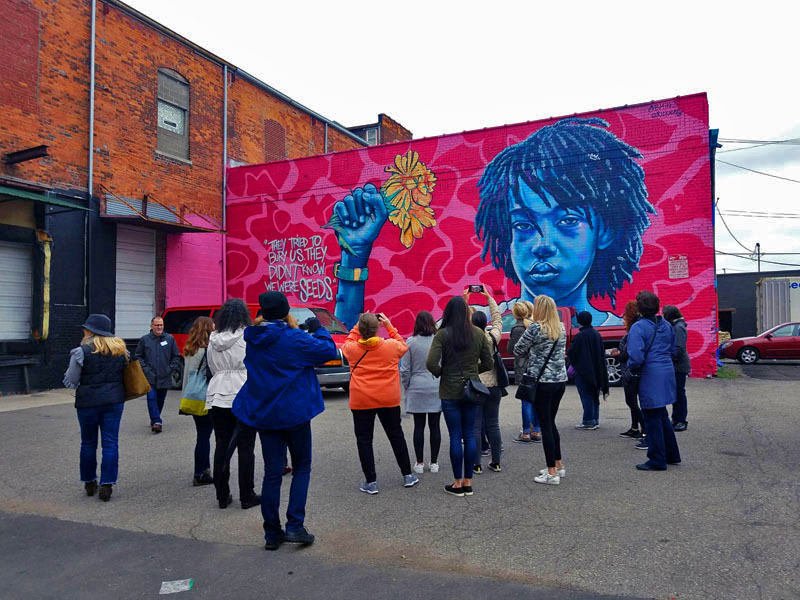 Recently I was invited by Feet on the Street Tours to go on an Eastern Market mural tour. Of course I jumped at the chance! 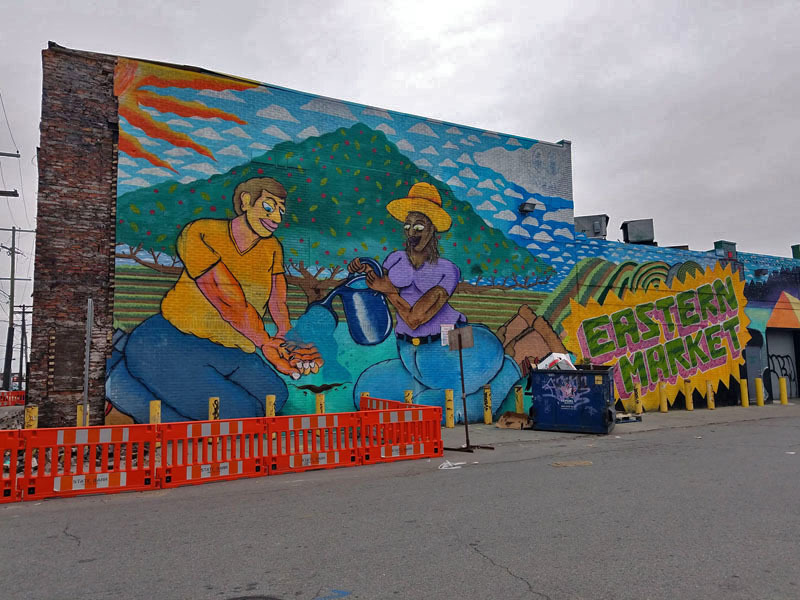 During a two-week period every year at the market is the world-renowned Murals in the Market, an international mural and public arts festival. 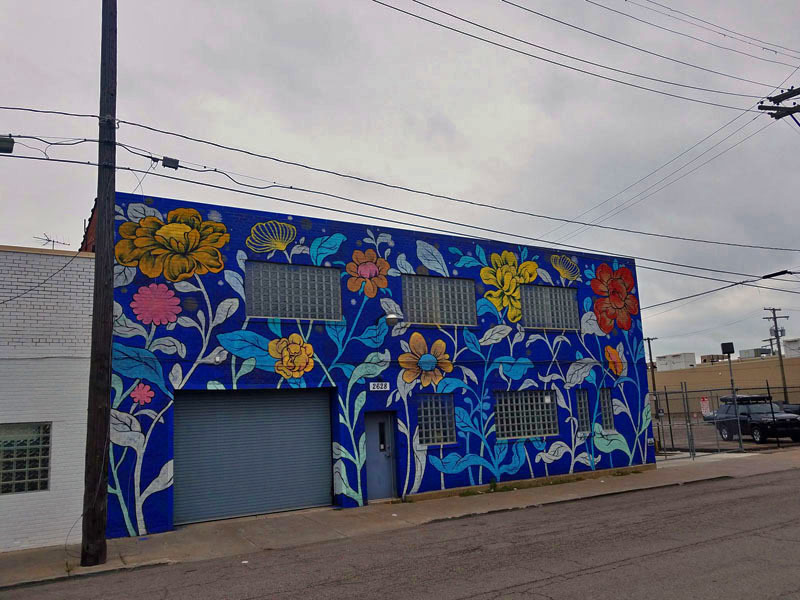 Artists of all ages and skill sets from all over the world converge on Eastern Market to create dozens of new murals. 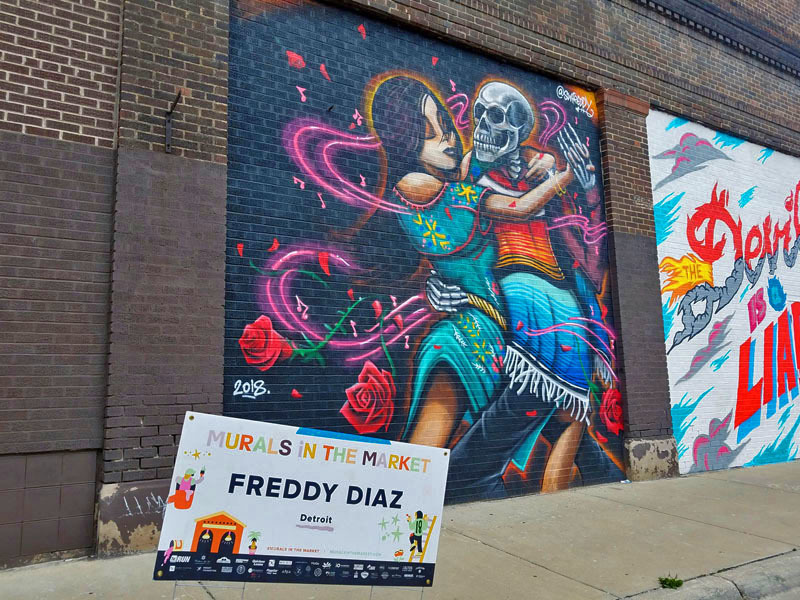 They decorate the streets of this historic market and neighborhood. 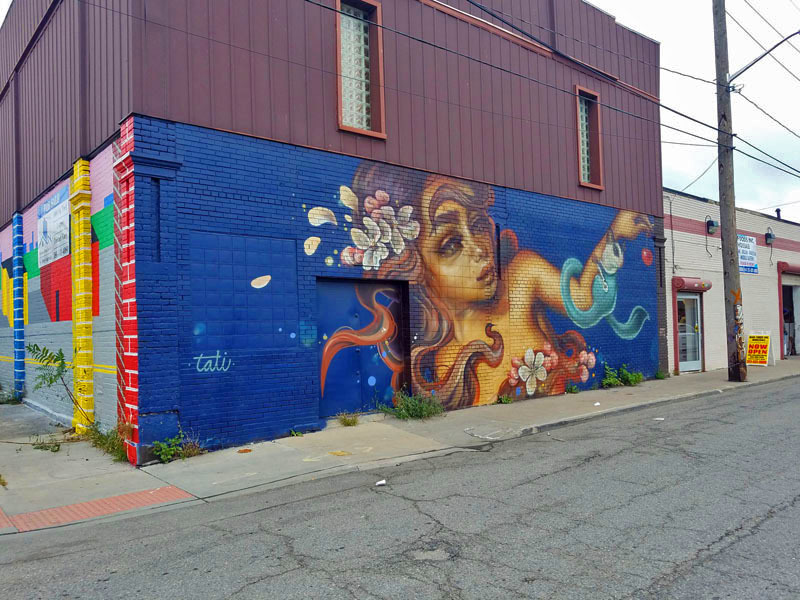 The Feet on the Street’s “Murals in the Market Walking Tour” I did took place right after this festival. 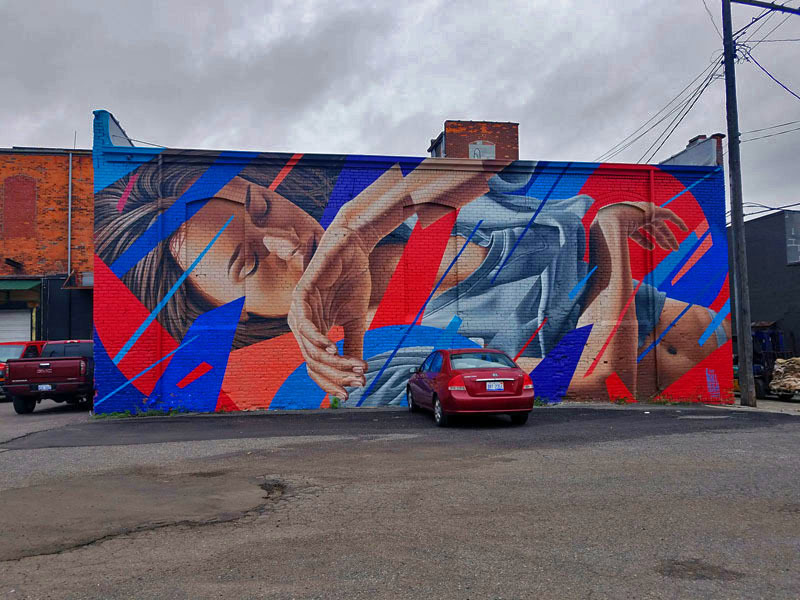 Tip: Head down to Eastern Market during the festival to catch the artists in action, watching new murals come to life. Becky, the Business Manager for Feet on the Street, was our tour guide for the two-hour walk. She was very informative throughout, telling us not just about some of the pieces and their backstories, but also gave a lot of good information about the festival and Eastern Market. You could definitely tell the passion she has for this neighborhood and Detroit. Things were kept light, as there was lots of laughter throughout. As we were walking we passed by random coffee spots, meat, produce and international markets, breweries, and a lot more. Add In fruits, vegetables, Christmas trees, plants, etc. if you are touring here on a farmers market day. 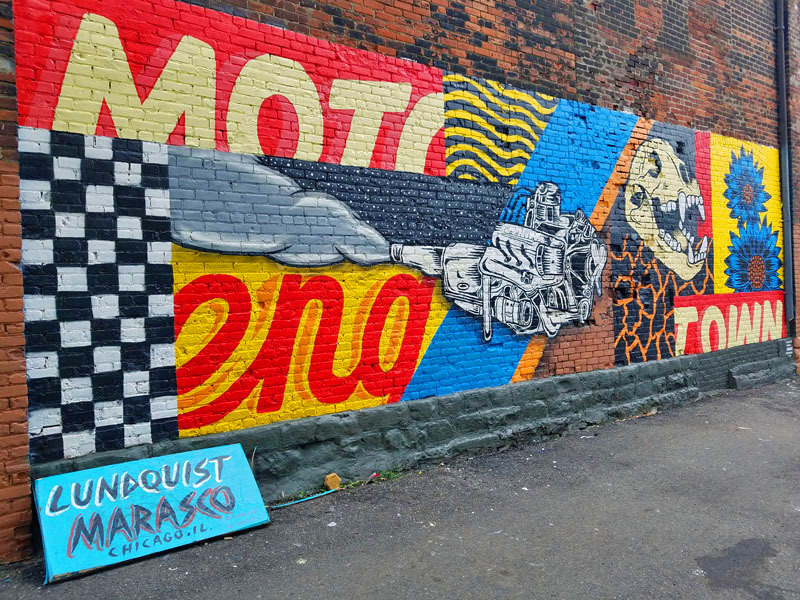 The hustle-and-bustle and all the people just walking around experiencing this part of Detroit is refreshing to see. 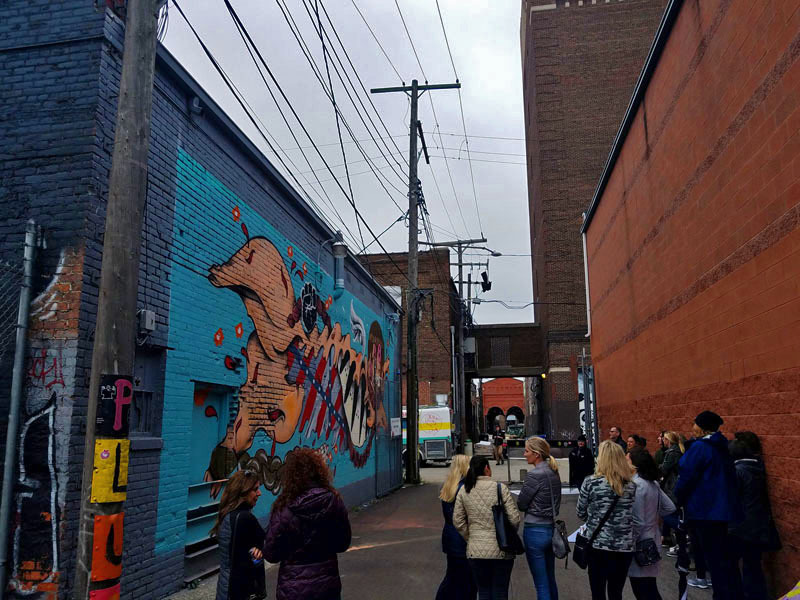 The tour began and ended along Russell Street in the heart of the market. In between a few pieces, amongst the dozens we took in, caught my eye. 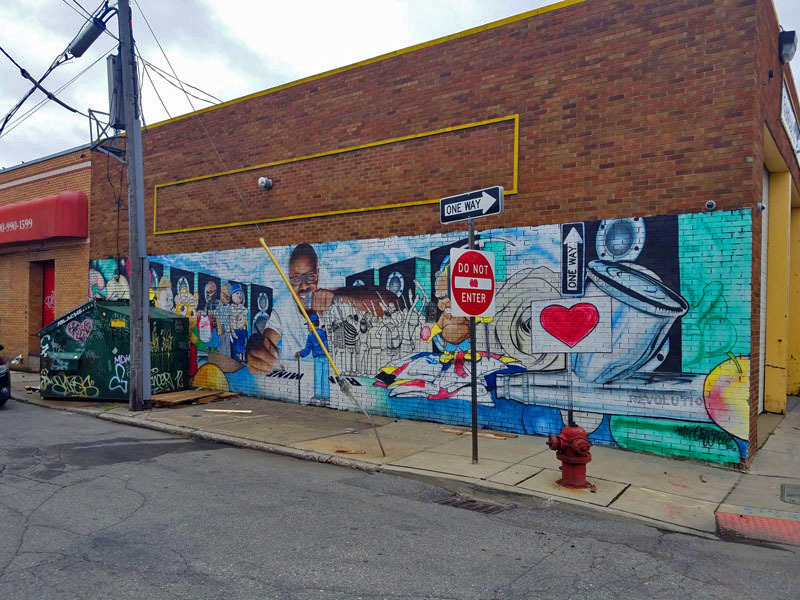 The most Instagrammed mural currently in the area is this 2017 festival edition from Brandan “BMike” Odums from New Orleans and Detroit-based Rick Williams. You can find it at the corner of Adelaide and Orleans. 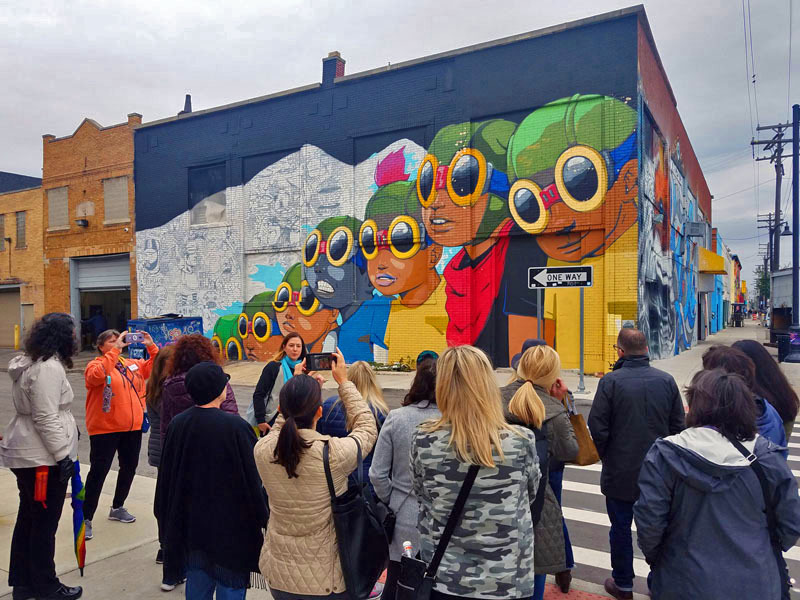 One that has been around a few years right along Russell Street is “Flyboys” by Hebru Brantley. I check it out every time I am down here. 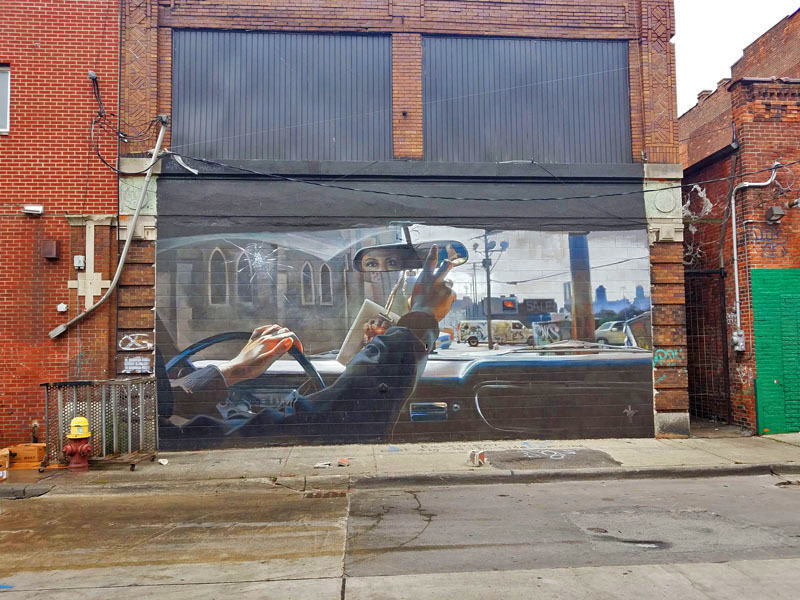 I had no idea murals could go 3-D?! 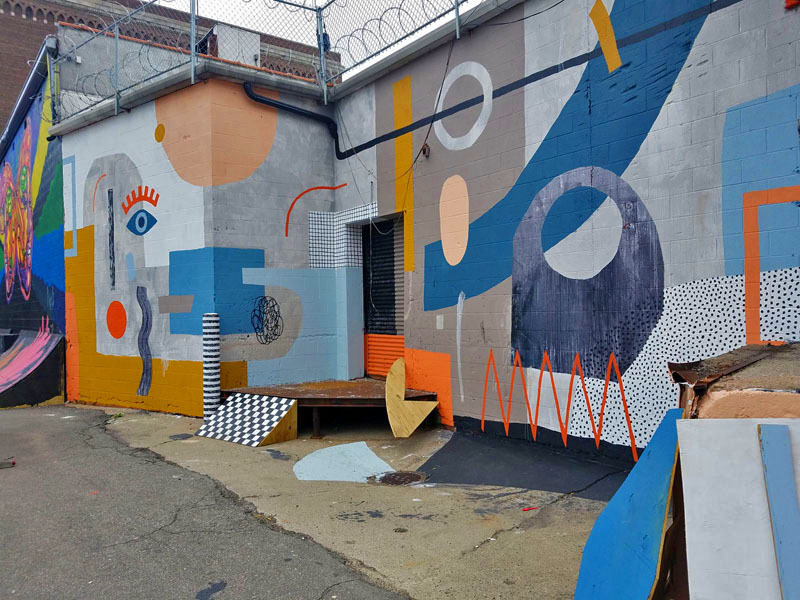 Detroit-based artist Ellen Rutt brings various shapes and colors to life in an alley off Orleans between Adelaide and Winder Streets. 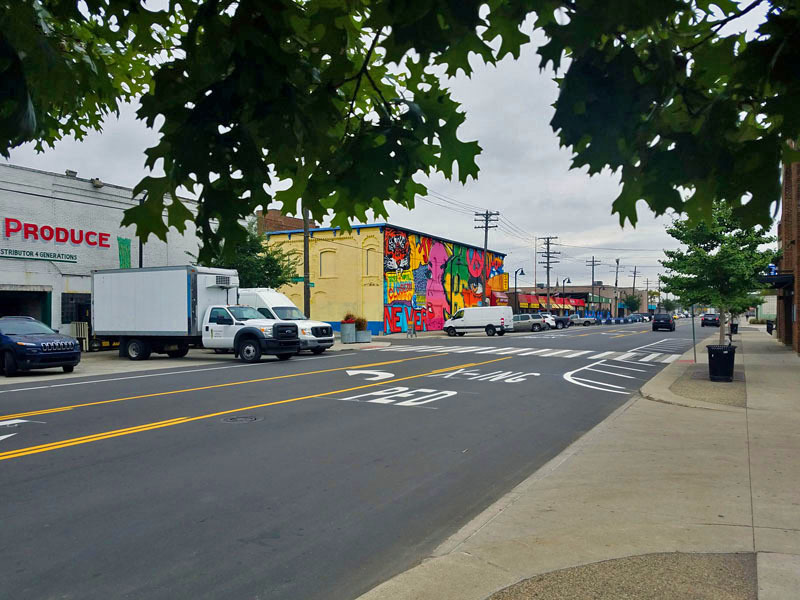 I will let the rest of the murals and Eastern Market scenes tell the story. 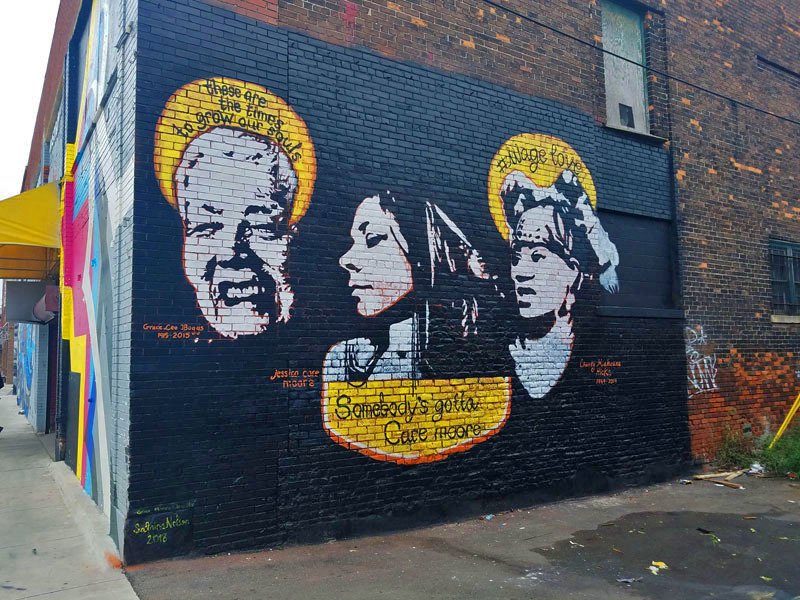 Todays tour just added to the memorable Detroit mural walk experiences I’ve enjoyed. 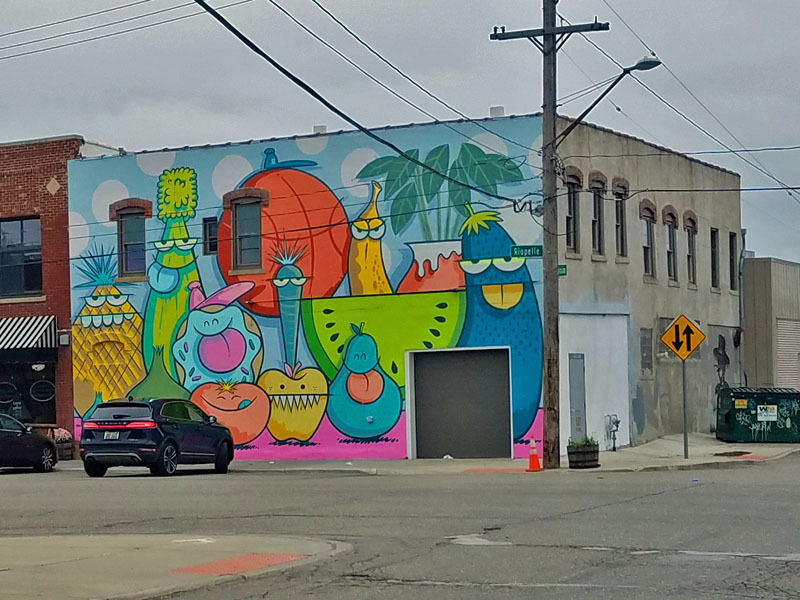 I highly recommend checking out the Detroit Eastern Market murals, even if on your own. 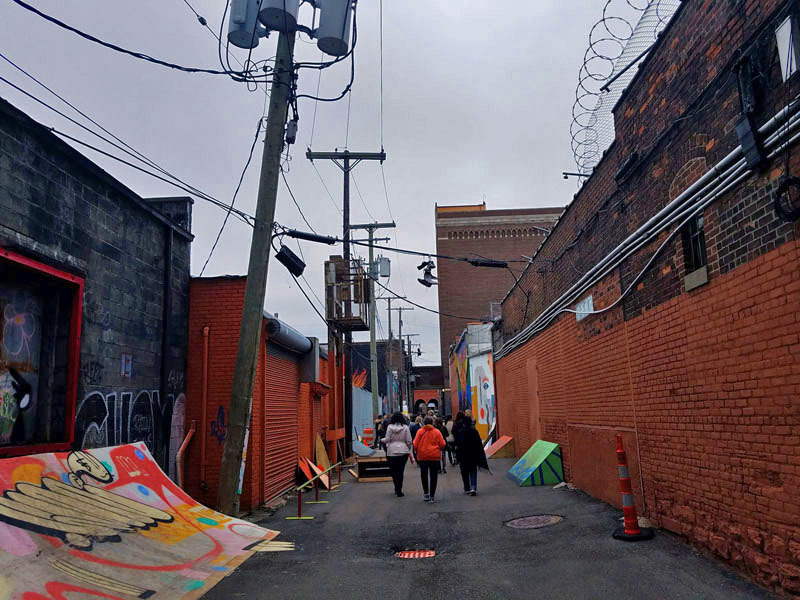 Feet on the Street gives other Eastern Market tours, like their “Come Hungry, Leave Happy” food tour, which I have experienced. 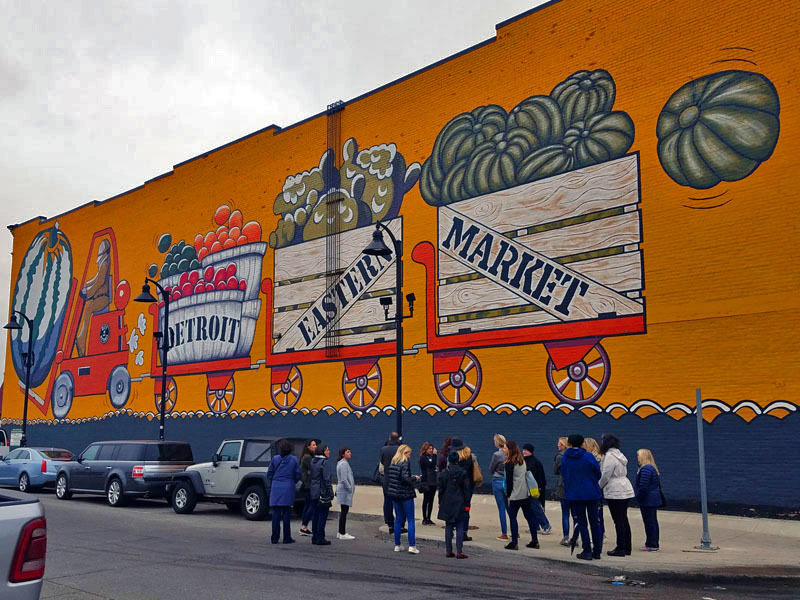 Private, customized Detroit tours for various size groups are also offered. You can find Feet on the Street on Facebook and Twitter. 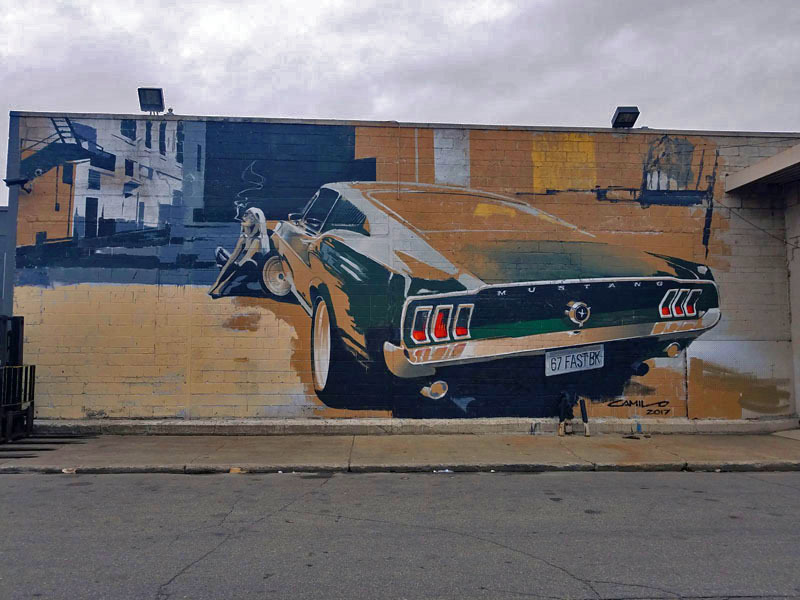 Checkout The First Detroit Mural Photo Walk I did many years ago. 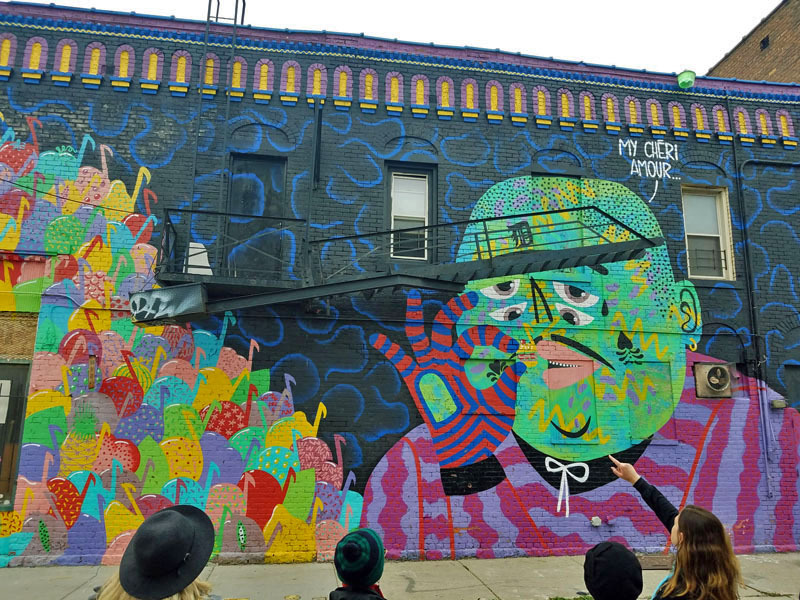 Have you ever gone on a city mural walk? Any that you would recommend?